With spring on the horizon, the dreams of leisurely bike rides under blossoming trees and lounging in grass covered parks is almost within reach. If you’d like to add a fresh cup of coffee to the equation, your options for safely transporting it can be limited. 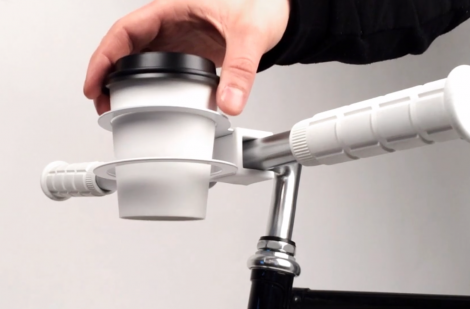 Just in time for better weather, the Swedish cycling accessory company Bookman, known for their portable and powerful bike lights, has just launched a new cup holder for your bike to make your coffee’s journey easier. 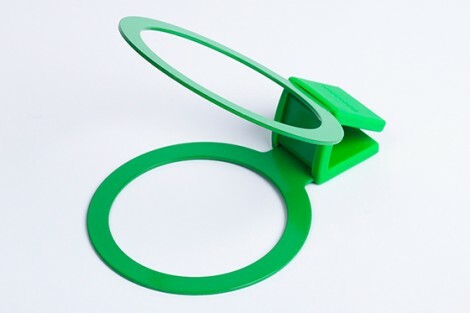 The simple and utilitarian design attaches like a clamp and can be quickly and easily removed. The company claims that it will remain firmly in place, even over bumps—just be sure you’ve got the coffee’s lid on tight. 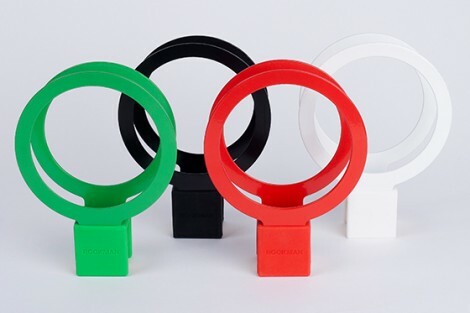 The two rings are different sizes allowing you to flip the holder to accommodate a small or medium sized cup of coffee. I’m not sure if they can fit a KeepCup, but that would make them even nicer. Once they’re available, I’ll be sure to test them out.